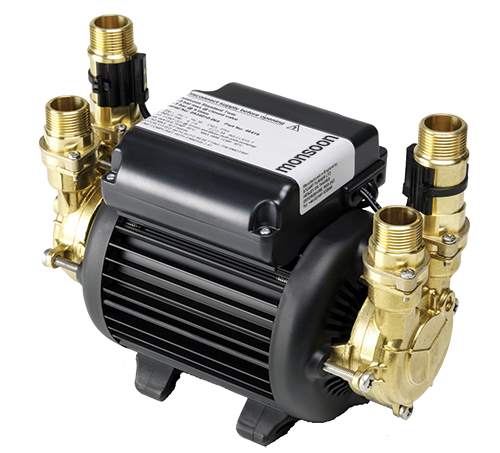 Monsoon are a range of high performance, premium quality brass domestic shower pumps and whole house water pressure boosting pumps. They are specifically designed to meet the demands of a host of domestic applications from a single tap or power shower to a complete bathroom or the whole property. 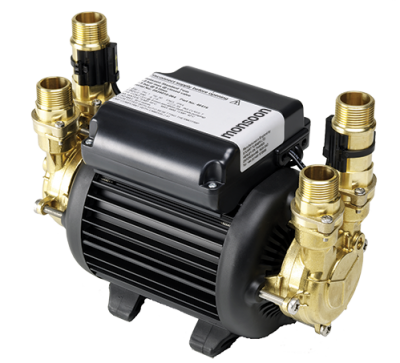 Monsoon pumps are suitable for water pressure and flow boosting applications within properties featuring a gravity/vented plumbing system.